Kafka is highly reliable and highly available, enabling stream processing applications to utilize geographically distributed data streams. Apache Kafka is an open source project providing powerful distributed processing of continuous data streams – and is currently trusted in production by thousands of enterprises globally including the likes of Netflix, Twitter, Spotify, Uber, and more. With real-time data, you can process and react in the real-time. Kafka real-time data streams help you react to events and insights as they happen and use it to your advantage. Historical data, coupled with real-time data streams from Kafka, helps you make important decisions for the future. Real-time data helps you gain competitive advantages and make your use of big data more effective. Effective streaming for real-time data is at the heart of most modern-day applications and the architecture design is no longer just a data queue. Kafka supports write and read scalability at the same time. This means you can stream enormous amounts of data to Kafka and carry out a real-time processing of messages, including sending messages to other systems, for multiple purposes, concurrently. Kafka is being used across various industries including logistics, retail, healthcare, financial services, e-commerce, IoT, and more. For example in the logistics industry, Kafka is helping move the packages faster and helping companies achieve profitability. Given the real world complexity of logistics, it’s a good idea to try to keep track of the location of goods, warehouses, trucks. 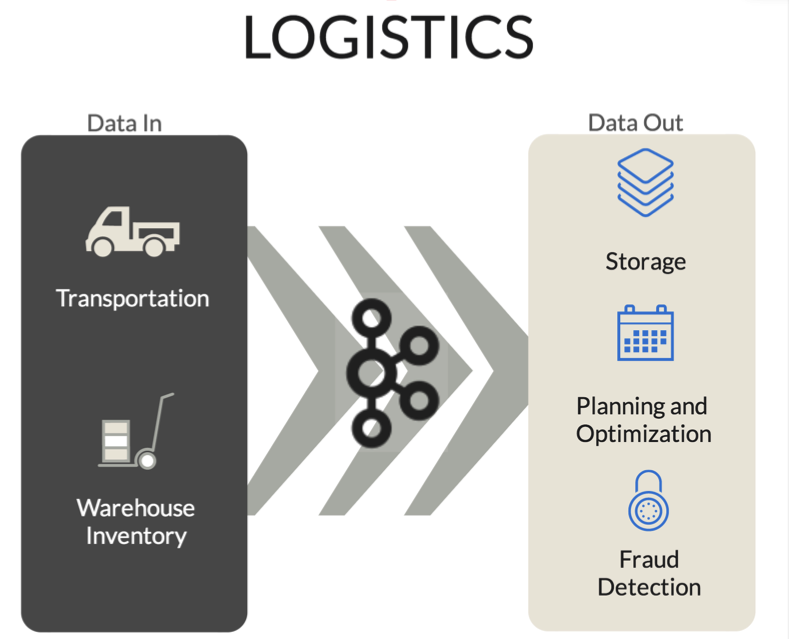 When the real-time data related to these 3 parameters passes through a Kafka pipeline, one can gather information that can help with a variety of different aspects such as collection, storage, delivery, planning and optimizing goods movement, real-time checking, auditing and fraud detection. Similarly, patient’s medical records and medical tests in the healthcare industry are required by insurance vendors, as well as facility management, bed management, and patient EMR. Kafka pipeline helps deal with different scenarios.